The Journeyman line of hand tools represents the best of Klein quality and workmanship combined with the latest innovations in handle design. Kleins Journeyman Pump Pliers feel right and work right. They feature job-matched performance, and are designed and built to exceptional quality standards in a tradition that dates back to 1857. Klein Tools specializes in making some of the world's finest pliers. These High-Leverage Side-Cutting Pliers are built for heavy-duty cutting with induction hardened knives that are built to last. The high-leverage design provides 46% greater cutting and gripping power than other plier designs. The dual-material Journeyman handle makes these pliers tough and comfortable to use. From Klein Tools, the Journeyman 9" High-Leverage Side-Cutting Pliers is part of the 2000 Series<sup></sup> from Klein Tools features induction-hardened cutting knives designed for cutting ACSR, screws, nails and most hardened wire. Their high-leverage design positions the rivet closer to the cutting edge for 46% greater cutting and gripping power than other plier designs. 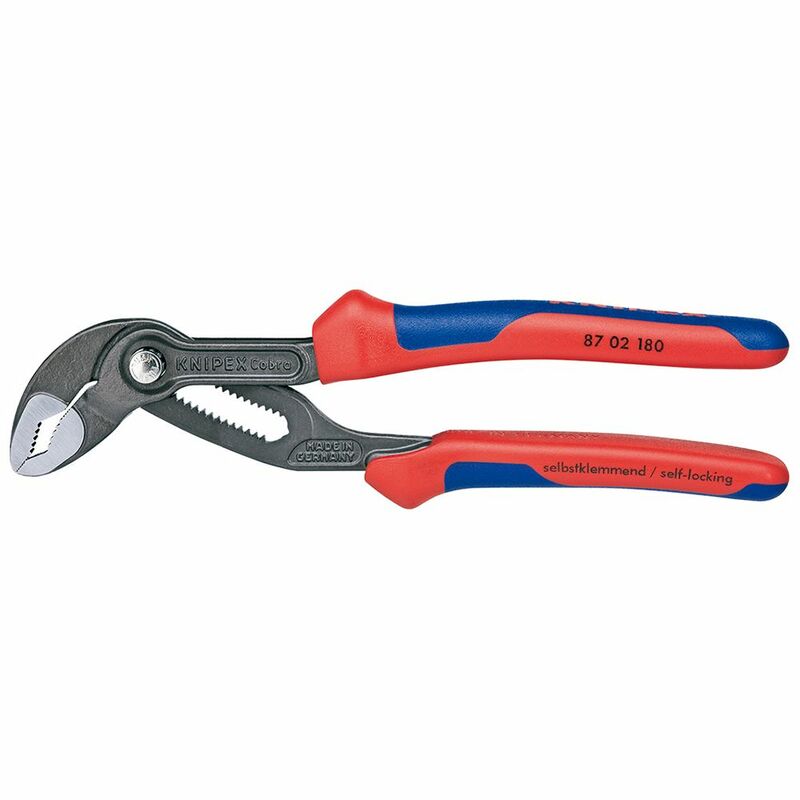 The pliers are designed with sure-gripping, cross-hatched knurled jaws. Part of the Klein Tools Journeyman line of hand tools, these pliers represent the best of Klein quality and workmanship combined with the latest innovations in handle design. Using a state-of-the-art dual material moulding process, the handles are fashioned of a hard, black material for toughness and durability combined with a soft outer surface material for comfort and a firm grip. Contoured thumb area offers additional comfort and a positive feel. 7 1/4 Inch Cobra Pliers-Comfort Grip Knipex Tools is the worlds largest manufacturer of professional pliers since 1882. Knipex Pliers, Cutters, Insulated Tools and other products have been the tools of choice for Professional Tradesmen and end users who are serious about their hand tools and demand industrial quality. Knipex Tools are made from start to finish utilizing the highest quality materials. Based in Germany, KNIPEX Tools are German engineered to produce a tool unmatched in the industry in terms of features, comfort, design and performance. 7 1/4 Inch Cobra Pliers-Comfort Grip is rated 5.0 out of 5 by 3. Rated 5 out of 5 by Wheezer from Need a pair in every tool box Best Pliers made , but a little expensive . I bought the small ones because I already have the 10" .